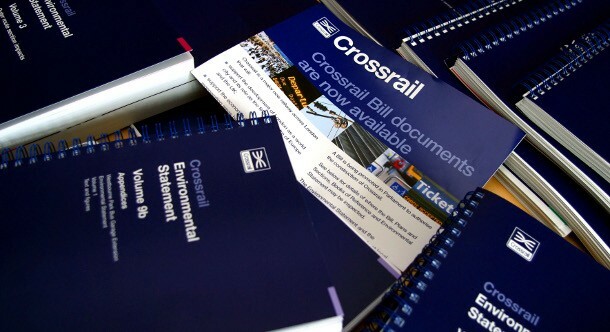 Crossrail Act 2008 and Crossrail Bill supporting documents - Crossrail . For information about the Elizabeth line please visit the Transport for London website. The Crossrail Act giving permission for the railway to be built, operated and maintained received Royal Assent in July 2008. The Crossrail Hybrid Bill was introduced to Parliament in February 2005 and like all legislation was fully considered by both the House of Commons and the House of Lords. The Bill contained a description of the works to be undertaken, where they were to be carried out, and identified the land needed temporarily or permanently. The Crossrail Bill was a so called hybrid bill which traditionally is used by the Government on behalf of railway companies and transport agencies to obtain authorisation for major projects deemed to be in the national interest, but which would also affect a large number of private interests. Such bills have been used periodically for rail and other major projects such as the Channel Tunnel, the Channel Tunnel Rail Link and the Dartford Tunnel. The Parliamentary process adopted gave individuals and bodies, such as businesses or local authorities an opportunity to oppose the Crossrail Hybrid Bill or to seek its amendment before a Select Committee in either or both the House of Commons and House of Lords. This process also enabled detailed scrutiny of any amendments proposed to be made to the Bill. The Bill was enacted on 22nd July 2008 when it completed all the Parliamentary stages and received Royal Assent to become The Crossrail Act (2008). The Crossrail Bill became an Act of Parliament in July 2008. The parliamentary process required much documentation, all of which can be found here. Use this resource to access detailed information about the Crossrail Bill and the various supporting documents which have been produced. The library folders below contain all of the Crossrail Bill documents. You can also use the Crossrail Bill Documents section of our website to access detailed information about Crossrail, The Environmental Statement (ES) and the Plans and Sections deposited with the Bill. Some of these files are large in size and may take some time to download. If you experience any problems, or you wish to request copies of this information, you can do so via our Helpdesk. Call 0345 602 3813, email to helpdesk@crossrail.co.uk, or use the "contact us" forms at the head of this page to submit your request and a member of our Helpdesk will contact you directly.